African Renaissance and Diaspora Network, Inc. (ARDN) announced Tuesday, that Dr. Djibril Diallo, a United Nations Senior Official, has been appointed to the position of President and Chief Executive Officer. The appointment will become effective March 25, 2018. A statement jointly signed by Arlene Katzive, Secretary of the Board and James Hsui, Legal Counsel, both of ARDN said that Dr. Diallo currently serves as Regional Director for West and Central Africa and Senior Adviser to the Executive Director of the Joint United Nations Programme on HIV/AIDS (UNAIDS). He has held several management positions with the United Nations (UN) for more than three decades. “We look forward to continued close collaboration between UNAIDS and ARDN with Djibril in the lead,” said UNAIDS Executive Director Michel Sidibé, in a message to all UNAIDS staff. In his capacity as the chief executive officer of ARDN, Dr. Diallo will lead the organisation’s ‘Pathway to Solutions’ initiative, which aims to popularise the United Nations Sustainable Development Goals (SDGs) and to increase public understanding of the role and functions of the UN. The international project has its genesis in the collective hope and vision of the office of UN Deputy-Secretary-General, Amina J. Mohammed; and ARDN under the direction of the Chair of its Board of Directors, Constance B. Newman, a Senior Fellow of the Africa Center at the Atlantic Council. Newman has also formerly served as Assistant Administrator for the United States Agency for International Development (USAID) and Assistant United States Secretary of State for African Affairs. After over nine months of extensive consultations, the ‘A Pathway to Solutions’ strategic plan was presented to the UN Deputy-Secretary-General on December 19, 2017, at a coordination meeting held at the United Nations headquarters. “Dr. Diallo’s expertise in international relations, diplomacy and human development will be critical at a time when the International Community is pursuing, in tandem, the SDGs, the implementation of the International Decade for People of African Descent (2015-2024), and the African Union Agenda 2063,” said Ms. Newman. “I’m deeply humbled by the trust and confidence that has been placed in me. I’m excited to see what I can do in this new capacity to advance the United Nations’ hope and vision of a better world,” said Dr. Diallo. With over 35 years of experience at the United Nations, Dr. Diallo’s work for peace, sustainable development and protecting the most vulnerable has been recognized by numerous national and international organizations. Previously, Dr. Diallo served as Director in the Office of the Special Adviser to the United Nations Secretary-General on Sport for Development and Peace, Spokesperson of the President of the United Nations General Assembly, Director of Communications at the United Nations Development Programme, and Special Assistant to the Executive Director at the United Nations Children’s Fund. 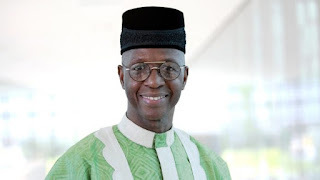 A steadfast supporter of youth, Dr. Diallo initiated the first-ever United Nations Youth Leadership Summit in 2006, bringing together youth leaders from 192 countries, with a vision toward gender parity in participation. He speaks twelve languages.